Christmas comes but once a year so make it special with Party Makers. 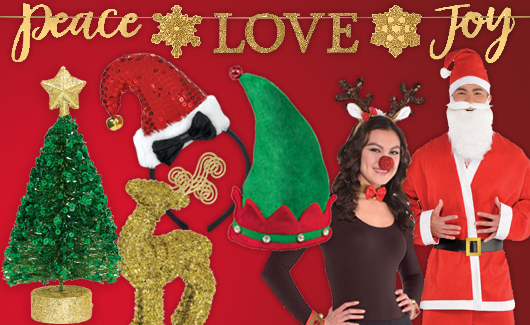 Whether it be snowflakes and snowmen or traditional red bows and wreaths, we carry décor for any Holiday theme or party. Holiday swag you can hang up, display, serve with, stuff into stockings, wrap a present with and more!